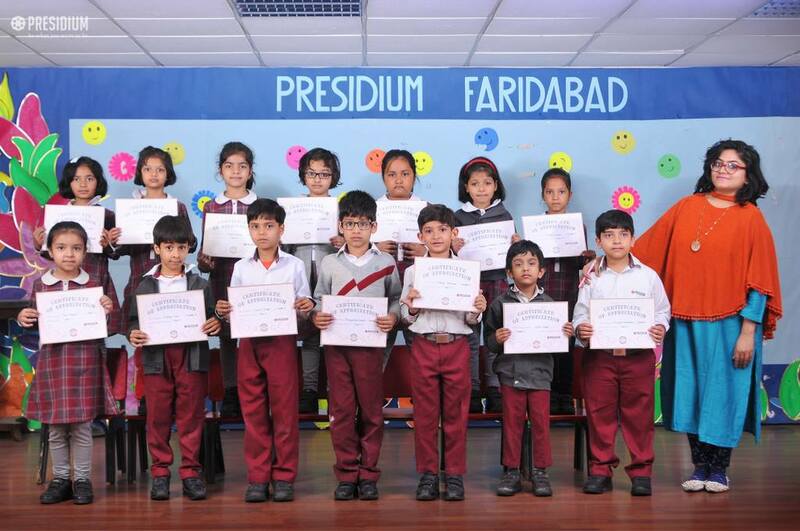 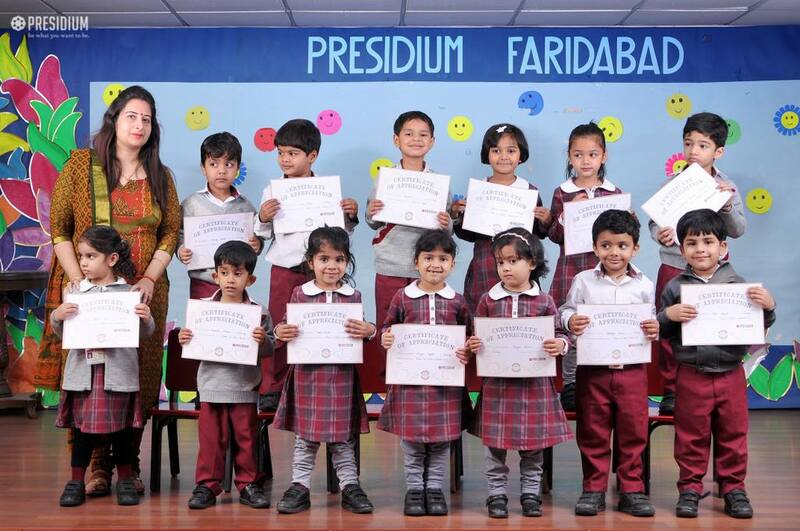 In order to recognize students’ merits and express admiration, Appreciation Day was organized at Presidium, Faridabad recently for students of nursery to grade 3. 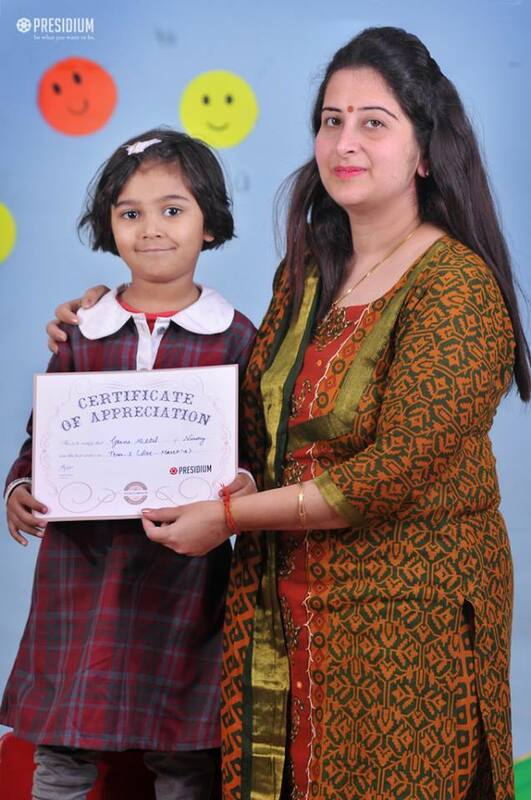 In this program, students were appreciated for their various efforts and endeavours at school. 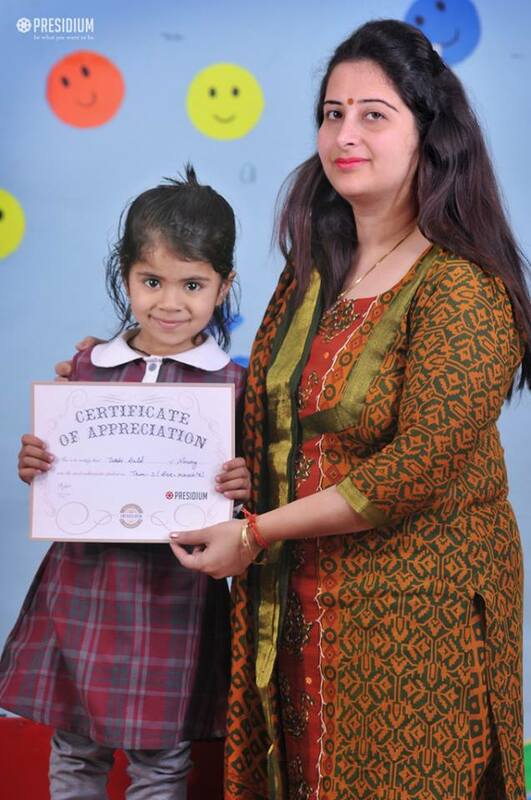 The event began with a pledge by the students to always overcome all the obstacles diligently and creating a better world for future generations. 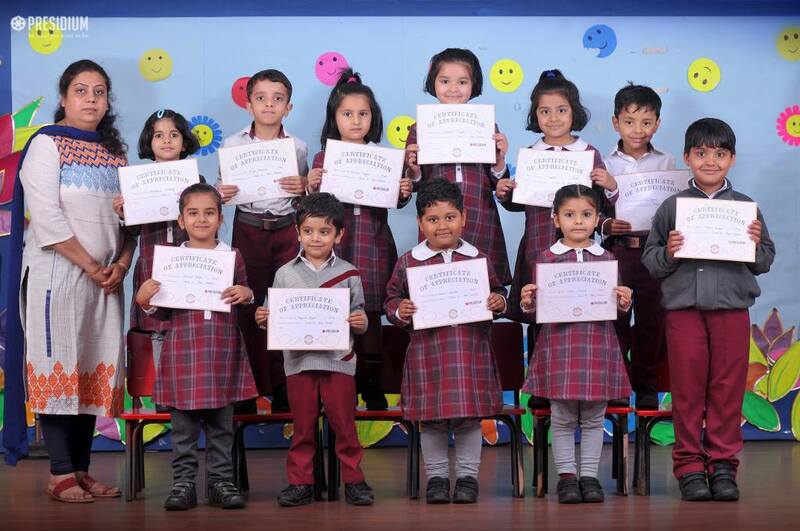 The audience applauded, and cheers commenced the ceremony, while students were elated to receive titles, such as ‘able’, ‘honest’, ‘leader’, ‘creative’, disciplined’ and many more. 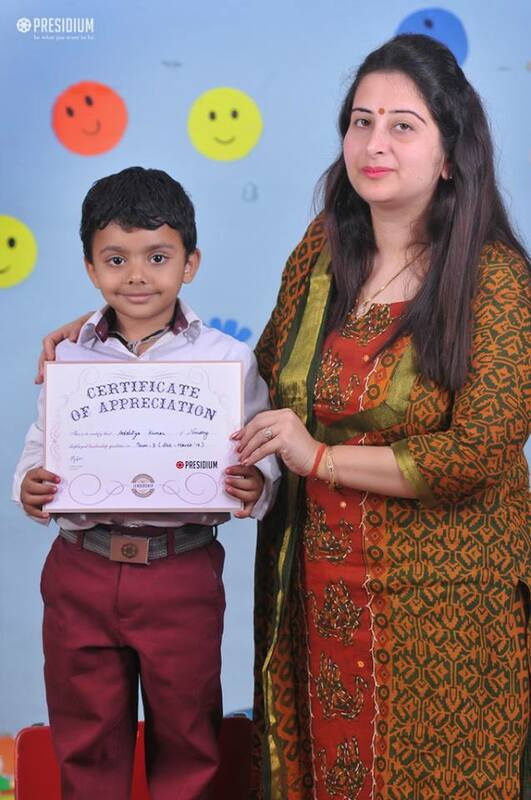 This ceremony encouraged students to outshine & excel, and they also learned the value of hardwork in order to be successful in life.